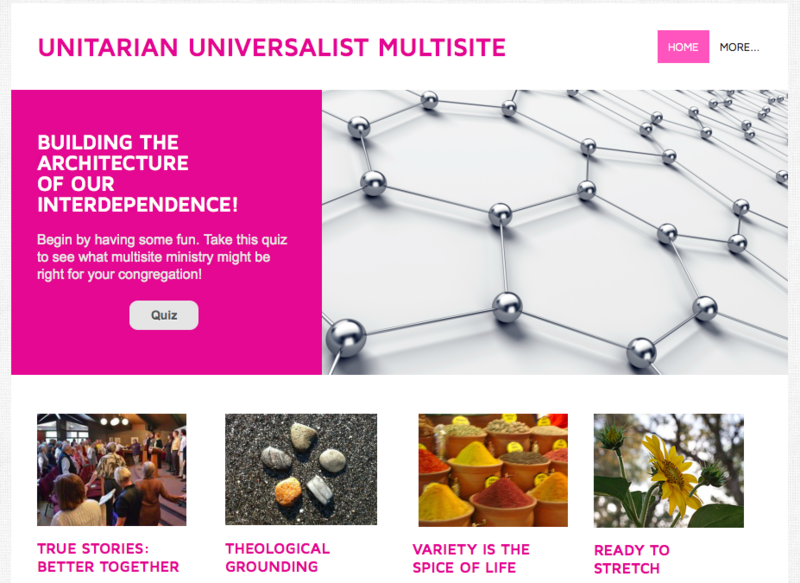 It’s my honor to announce a new resource from our UUA: The UU multisite webpage. For those of us new to the multisite movement, a quick definition is in order. Multisite, to put it simply, involves multiple congregations or covenanted communities sharing staff, programming and mission to have greater impact and reach than any of them could have on their own. 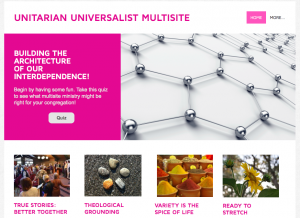 Over the next couple of days, members of our UUA’s Multisite Support Team will lift up various aspects of the new website to tease out that definition in greater complexity. Today, I have the wonderful job of simply saying thanks. First of all, thanks goes out to the growing number of adventurous UU congregational leaders who are currently doing multisite ministry. Their creativity, boldness and bravery is rightly celebrated on the website. What may not be as apparent is the fact that these trailblazers have now made a UU learning community possible. In the past, we UU’s had to go outside of our faith to learn about multisite models. Now, with over a dozen UU multisite experiments in place, we can now turn to each other for wisdom, support and inspiration. That is a tremendous gift. And through this website and our UUA’s multisite support team, we are making that gift more widely available. Second, I want to say thanks for the compassion of this effort. Again, this may not be readily apparent as you search through the site, but I don’t want us to miss it. Our current way of doing church leaves many religious professionals serving in greater isolation than any of us would wish. When you are a singular parish minister or RE leader, you must play to weaknesses not only your strengths. Think of that old line: “Having to be everything to everyone.” Additionally, many of our congregations can only offer part-time positions. This leads to frequent turnover as staff leave for full-time work elsewhere. More worrisome, it leaves staff working under the economic stress of insufficient income. 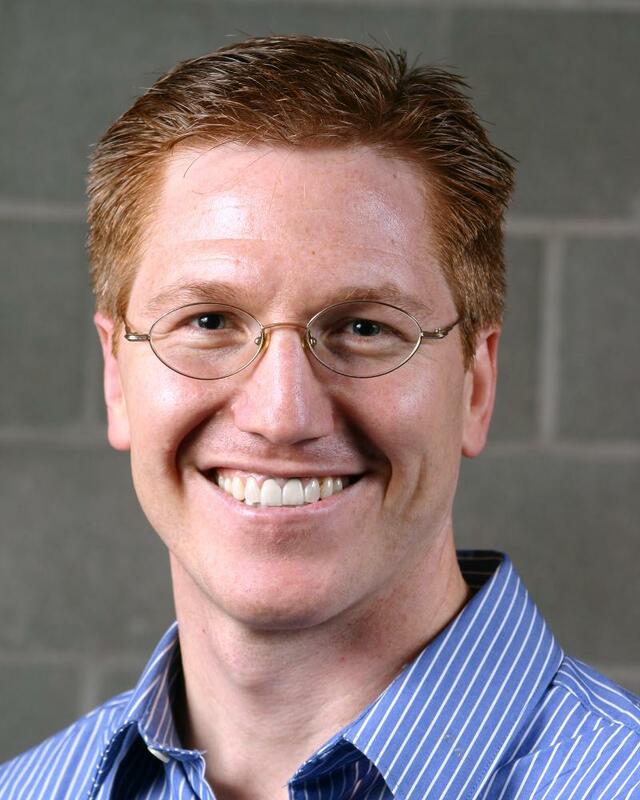 Multisite models allow congregations to address all of these challenges. Isolation and playing to your weakness are eliminated when two or three congregations combine resources to enable larger, more versatile teams that can share the work more strategically. Part-time positions are eliminated as congregations join to create more attractive and sustainable full-time positions. This is not just about institutional effectiveness. It is also about us taking the burdens on our staff more seriously. It may sound odd, but I see multisite as not only a more efficient model of church, but also a kinder model. And this most surely is a great gift. Finally, I want to give thanks for the way multisite invites us to embody our theology more deeply. Interdependence lies at the heart of our faith tradition. Regardless of how each of us articulates the holy, all of us share the belief that the holy arises when disconnection is healed. 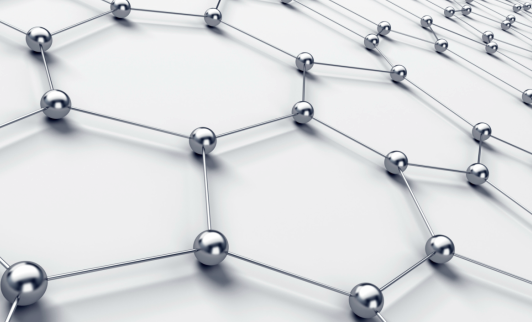 Power, impact, grace, creativity, genius: these all emerge as the ties between us grow stronger, as the web of connections among us increase. Our faith movement excels at applying this insight to personal relationships. But when it comes to applying it to our organizational relationships, we’ve got some work to do. Institutionally, we exist largely as a sea of siloed congregations and covenanted communities, rather than a web of networked communities. The pioneering leaders experimenting with multisite congregational models see this clearly. At the heart of their work lies a profound desire for our congregational systems to finally reflect—and tap into the power of—our theology of interdependence. It is a desire I know all of us share. Indeed, there’s a phrase that I am hearing used more and more: “building the architecture of our interdependence.” I love that phrase. There is something wonderfully and uniquely Unitarian Universalist about it. It boldly suggests that what makes a congregation a Unitarian Universalist congregation is not the size or beauty of its building’s architecture, but the richness of the architecture between it and its sister congregations. Multisite is not the only way to build this sacred architecture, but it is prophetically challenging each and every one of us to find our own way to contribute to the work. It is shining a new light on the holy space between us. And for that, we can all be grateful! Rev. 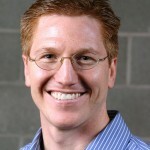 Scott Tayler is the Director of Congregational Life of our UUA. Prior to that he served as Co-Senior Minster to the yoked multisite of the First Unitarian Church of Rochester, NY and the Unitarian Universalist Church of Canandaigua, NY.